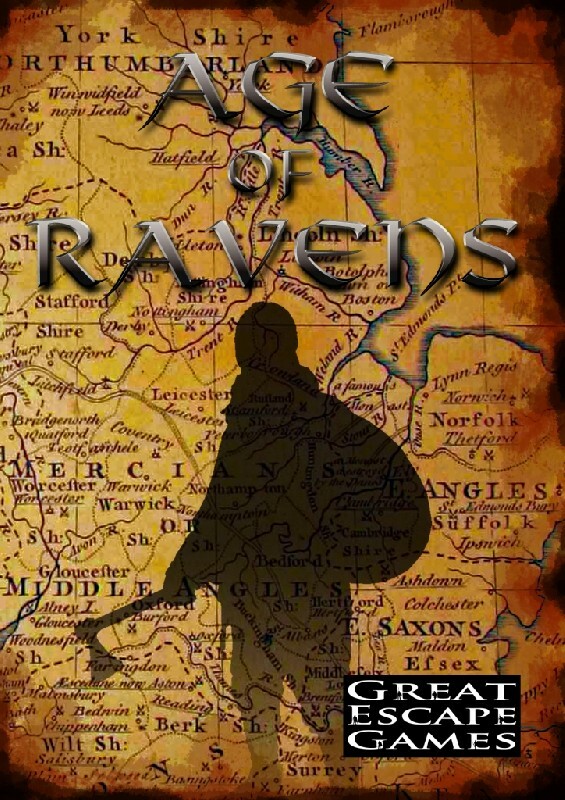 Age of Ravens is the second set of army lists for Clash of Empires, the rules for Ancient and Medieval warfare from Great Escape Games. The first section covers the first Northmen raiders and their victims in Britain and Ireland to the establishment of Viking kingdoms. 18 army lists including variants are included for the Viking raiders, Irish, Welsh, Picts, Scots, Middle Anglo-Saxons and Viking Great Army. The second part charts the events in France with the competing interests and clashes between the Western Franks, Bretons and the Duchy of Normandy, and the invasion of England by William the Conqueror. 7 army lists including variants cover the Anglo-Danish, Bretons, West Francia, Normans and Anglo-Normans. The final part of the book deals with Spain from the arrival of the conquering Umayyads through the wars of El Cid to the nadir of Islamic presence in Iberia. 9 army lists including variants focus on the Visigoths, the Umayyad Invasion, Early and Later Christian Spain, Al-Andalus and the Berbers.